The District is a cutting-edge retail complex, with outdoor experience, containing restaurants coffee shops, fast food, entertainment, kids area, fashion, retail, Club and Hyper Market. The District is situated near Cairo Airport and stretches over 194,000 SQM. The project is owned by Wadi Degla City for Urban Development and managed by Jones Lang LaSalle (JLL). 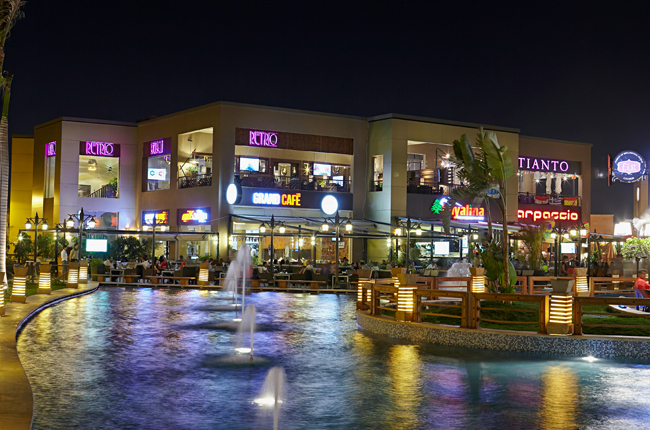 With its unique location and atmosphere, the mall will be a landmark for Heliopolis area and the main hang out for both families and youngsters. Excellent Accessibility from main roads. On-site free car parking and VIP parking. Unparalleled event location and venue. Multiple amenities for club members and for the external-population. The District brings in a stunning combination of over 15 coffee shops and restaurants with both indoor and outdoor seating area, varying from International, Italian, and Oriental and Lebanese cuisine. With live entertainment and kids’ activities at Kids Park, visitors will enjoy an incredible pedestrian environment around the water feature. Street Shops brings a large variety of services like banks, gym, pharmacies, electronics and gifts.